Janvi Anand Collective is a group playing together since January 2018. 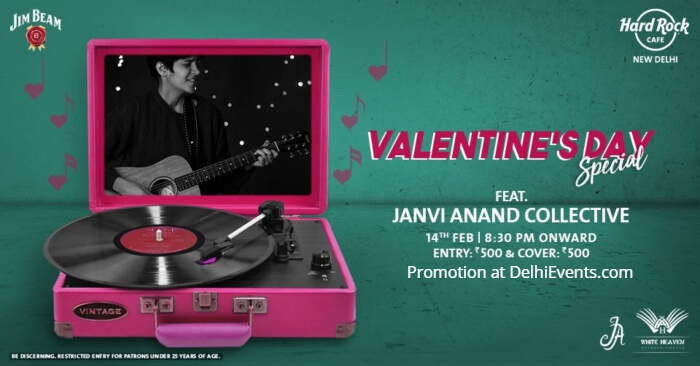 Janvi Anand (singer, songwriter, guitarist) decided to expand her setup and formed a collective to best showcase her album 'Faces of Love' released on March 11th, 2017. This multi cultured group has a collection of cover songs ranging from The Beatles to Chris Isaak to Michael Jackson to Bruno Mars to Damien Rice. As individual forces and part of other groups and bands these musicians have gained a lot of experience. They released their first single together - Fool to Want You which was exclusively released with Rolling Stone India.